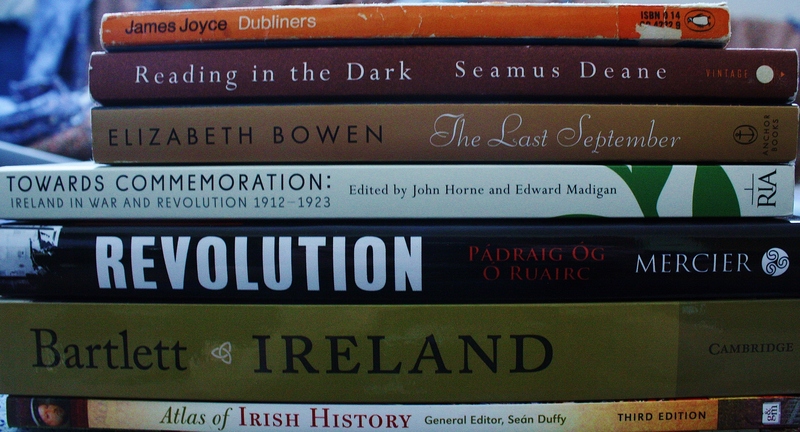 In a few days, I will depart across the Atlantic and spend a month in Ireland studying its history and literature. In many ways I’ll be a fish out of water. I willingly admit that I know very little about Ireland. The authors I have read have mostly been from the Americas, and the history I’ve studied has mainly been twentieth century conflict and the Cold War. Apart from a small ancestral connection, Ireland has not played a major role in my studies or my life. So naturally I decided to spend five weeks there, because among the few things I know about Ireland, I know it’s a nation of writers. Four of Ireland’s writers (William Butler Yeats, George Bernard Shaw, Samuel Beckett, and Seamus Heaney) have been awarded the Nobel Prize in Literature. Countless other Irish writers have left the world with outstanding literary works. A handful of the Irish writers includes James Joyce, Elizabeth Bowen, Oscar Wilde, John B. Keane, Brian Friel, Sean O’Casey, Johnathan Swift, Edna O’Brien, Molly Keane, and numerous others. In contrast to the rich literary tradition, there are few major Irish painters, sculptors, and composers. There is a longstanding oral tradition, and in the past century a theatrical tradition has developed. The essential form of artistic expression in Ireland is the written word. Ninety years ago, Ireland was engulfed in sectarian violence along religious and geopolitical lines, similar to what is seen today in parts of the Arab world and parts of Africa. A violent uprising and civil war began in 1916 accompanying the First World War, and the country split in two. Meanwhile, the Irish wrote poetry, novels, and plays amid the chaos. Their history is no different from the history I have studied. The Irish have suffered colonialism, violence, and poverty, and have expressed themselves through art and literature the way Russians, Afghans, Indians, Syrians, and Chileans have. I hope to immerse myself in the literature in its original context, to know the ins and outs of literature as thoroughly and intimately as I can. This entry was posted in History, Writing and tagged George Bernard Shaw, History, Ireland, Irish, James Joyce, Samuel Beckett, Seamus Heaney, Writers on June 19, 2014 by keeneshort.